Week 5 of my ‘Back to Basics’ training plan started really well. For the first time in what feels like ages I actually enjoyed running. Unfortunately, on Tuesday morning I attempted to walk and discovered that my left foot was really, really painful. On Wednesday morning, as I was lying in bed my left foot felt normal, as soon as I attempted to walk on it the pain returned. The moaning stops here but FFS!! I swear that as soon as I enter a race I pick up new injury! I have no idea what the term “gentle” run actually means? Is a gentle run just a posh term for a jog? As I had a doctor’s appointment first thing on Monday morning, I decided to run to the surgery. This was I thought a cunning plan but I knew it wouldn’t take me 40 minutes to run less than two miles. In the end I had to break the 40 minutes session into (a) running to the surgery (16 minutes), (b) running with my prescription to the local Boots (7 minutes) and (c) running the long way home (17 minutes). Not ideal but it meant that I had completed my training session before 9am. Although I guess that strictly speaking yoga isn’t really cross training, I attempted Sweaty Betty’s Yoga for Runners workout. I really am the least flexible person on the planet. Before attempting any more Yoga for Runners workouts, I need to start with Yoga for Total Beginners. I also noticed that my left foot didn’t enjoy the yoga and felt more painful when I had finished. It’s hard to complete a 40 minute run when it’s virtually impossible to walk… I spent the majority of Wednesday balancing an ice pack on my left foot and feeling sorry for myself. Rest Ice Compression and Elevation! Thursday morning consisted of RICE, RICE and more RICE. I had to travel to Birmingham University in the afternoon to meet my supervisor. The short walk to the local train station was agony. I will never understand how one day my left foot was fine but the next day it was agony. The pain is probably a 2/10 first thing in the morning increasing to a 8/10 by the evening. Taking painkillers didn’t seem to make much difference. Boo! I missed this training session (I had secret ambitions to hobble around my local parkrun on Saturday morning). After hobbling back from the train station (hills seem to be more challenging than the flat) the thought of completing a 5km run was a million miles from my mind. The lack of running has had some positives! I’ve got my washing mountain under control and my house is spotless. Thanks to SF Road Warrior’s blog for the pic. I also emailed the organisers of the Red Bull Steeplechase to state that I was going to have to withdraw from the event (hopefully someone else will be able to use my place). With a bit of luck I’ll get my entry frees refunded which is one positive. My foot still felt painful so the 50 minutes jog was replaced with over two hours of walking around Sutton Park/Sutton Coldfield. Not exactly very sensible with an injury, but I was on a mission to collect my number and timing chip for the City of Birmingham run. I managed to hobble to the Jamboree Stone where and realised that my foot wouldn’t be able to cope with an undulating 10km. Luckily I was able to change my registration from the 10km race to the 5km fun run event. Next week I’ll write a detailed race report. A combination of poor pacing and congestion at the start meant that the first kilometre was far slower than the final kilometre. Although my foot stopped hurting after 10 minutes it has been agony all afternoon/evening. Perhaps running wasn’t the most sensible option! For the third week coping with not being able to complete all of my scheduled training sessions. 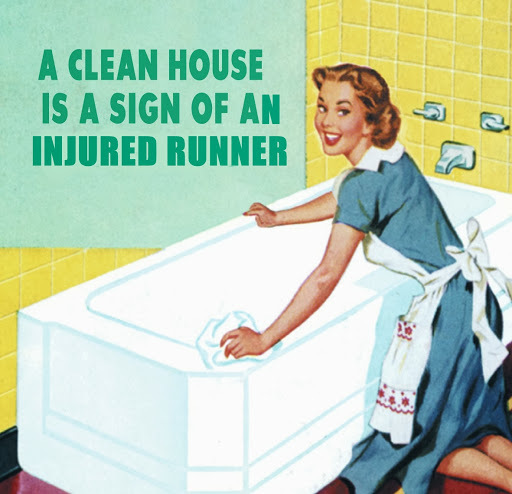 Dealing with a new injury problem. Being reminded just how enjoyable running with other people in races can be. Running up “that hill” in Sutton Park, perhaps I am fitter than I realised. 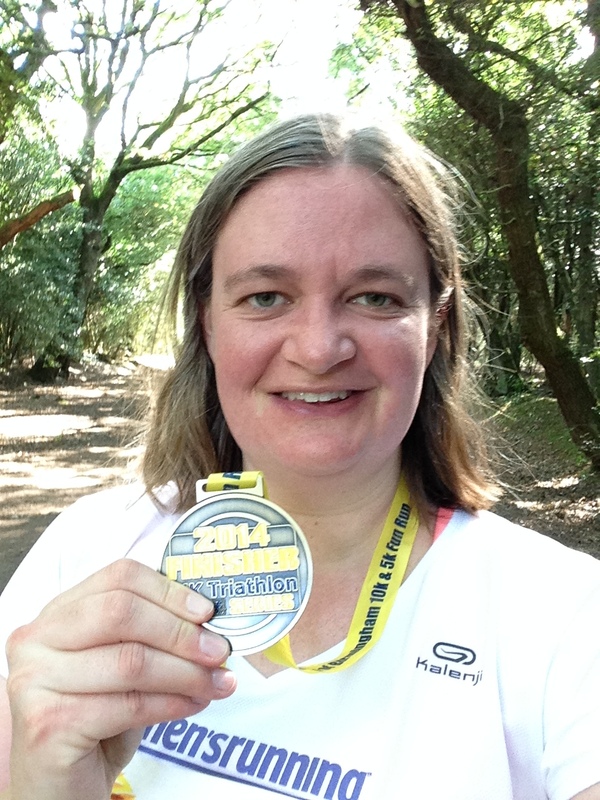 Earning medal #2 for 2014… little things please little minds! Again to stop comparing myself to other people. If someone wants to brag about their academic achievements on twitter then let them. Walking for miles the day before a race with a bad foot isn’t sensible. My diet still needs to improve. I need to join another running club when I am fixed, I felt pretty lonely at the start of the City of Birmingham Run. If it ain’t broke, don’t fix it… after chatting to a few other runners, the change from Asics to Brooks *may* be the cause of my foot problem. I have no idea how Week 6 of my Back to Basics training plan will turn out. I’m praying that when I leap out of bed in the morning I discover that there has been a miracle and my foot is fixed. I suspect that the reality will be somewhat different! Hey, I know this is 100% what you don’t want to hear, but have you considered taking proper time off running to heal? Obviously I don’t know what your GP said! Just it seems this may need it, and sometimes no running is actually better than some. A wee tip- for feet freezing bottles and rolling them under the arch to ice works well! Hi Scallywag, thanks for the comment. After discovering that I can’t put any weight on my foot this morning, I’ve decided that it’s time to rest. I’m going to visit my physio this week as I trust him far more than I trust my GP. I’ve got a re-freezable ice pack (possibly the best running purchase I’ve made) and will be icing the top of my foot on a regular basis. Luckily it’s an easy area to treat. The main challenge will probably be avoiding walking as much as possible.